It would be a pity if we do not reap the fruit of the indigenous knowledge cultivated in our communities. Fortunately the Department of Science and Technology (DST) committed itself to engaging government departments to ensure that Indigenous Knowledge Systems (IKS) are incorporated in their policies and programmes. By doing this they want to ensure South Africans derive maximum benefit from their cultural and biological diversity. This is one of the many commitments made at the end of the recent 2018 Indigenous Knowledge Systems International Conference, co-hosted by the IKS Centre of the North-West University (NWU) and the DST. Ms Mmamoloko Kubayi-Ngubane, Minister of Science and Technology, was the keynote speaker. She highlighted the strides South Africa has made with regard to IKS policy development, especially since the promulgation of the IKS policy in 2004. During the conference local and international experts discussed the protection of IKS and its utilisation for socio-economic development. Presentations by the World Intellectual Property Organisation and World Trade Organisation also gave insight into the challenges and progress made with regard to global negotiations about the protection of protect IKS. Examples of the use of IKS for the socio-economic benefit of knowledge holders were also shared with conference goers. To date, knowledge holders in partnership with the DST, the Council for Scientific and Industrial Research and local universities have developed 60 commercialisable products. More than 20 small, medium and micro enterprises and cooperatives owned and controlled by knowledge holders have been established and over 400 jobs created. One such an example is Prof Keolebogile Motaung, a researcher at the University of Pretoria, who co-owns a company with a traditional healer. This company develops a tissue regenerating plant-based medicine. This is proof of what can be accomplished when researchers apply indigenous research ethics based on Batho Pele (people first), rather than self-centred exploitative approaches. Dr Yonah Seleti, chief director for IKS at the DST, closed the conference with an appeal to knowledge holders to participate in the Indigenous Knowledge Registration System which the IKS bill will operationalise. He also urged researchers to maintain the highest standards of ethics. 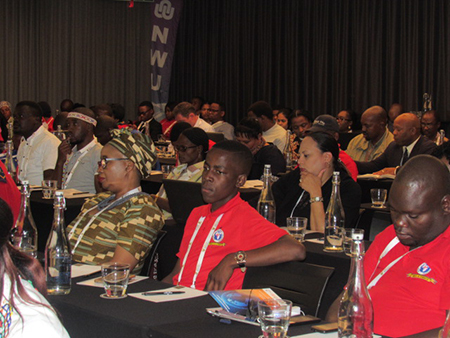 They should ensure that there is always a reciprocal and equitable beneficiation between them and knowledge holders. Conference goers get first-hand information about indigenous knowledge systems and their significance.